Today, MythoLogic Interactive announced that its new 2D brawler-shooter-platformer Superfighters Deluxe will be released on November 30th. 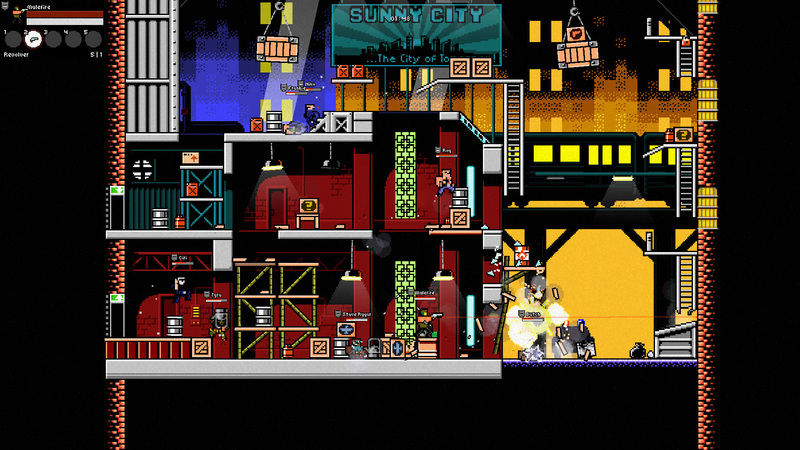 Superfighters Deluxe features a chaotic mix of platforming, shooting, and brawling in dynamic 2D levels. There will be plenty of weapons available in order to keep the action going. Superfighters Deluxe will be priced at $12.99 on Steam, with a discount planned for the release week.